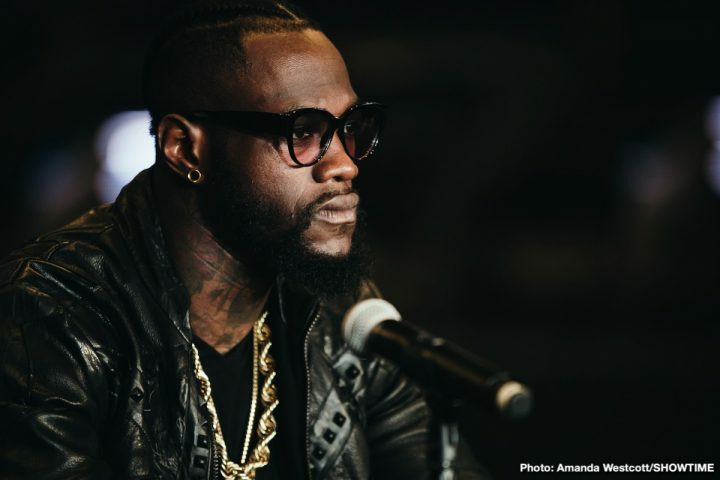 Promoter Bob Arum of Top Rank expects the rematch between WBC heavyweight champion Deontay Wilder and Tyson Fury to bring in a huge surge of pay-per-view buys in early 2020, thanks to the work that he does in building up the popularity of the tall 6’9″ British heavyweight before then. Demetrius Andrade says the Charlo brothers looked poor in their recent fights last December, and Gennady Golovkin shouldn’t be getting an immediate trilogy fight against Saul Canelo Alvarez in September after the two fought each other twice already. Canelo-GGG wasn’t an exciting enough fight for there to be a third one, according to Andrade. 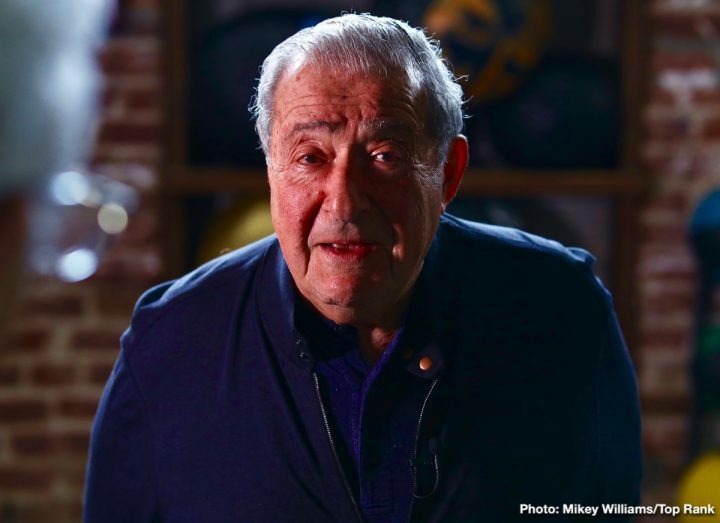 Bob Arum says Mikey Garcia has hurt his marketability with his loss to Errol Spence, and he’s now the B-side for a potential unification fight with Vasiliy Lomachenko. 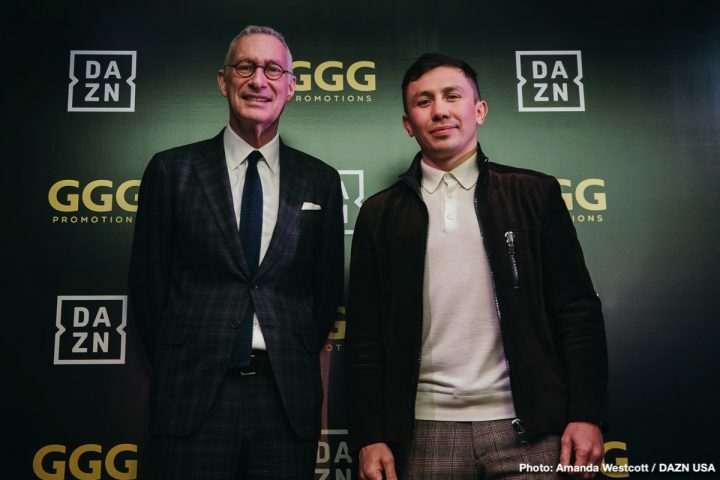 Further, the Top Rank CEO Arum states that Mikey will need to come down to 135 for him to get the fight with WBA/WBO lightweight champion Lomachenko (12-1, 9 KOs). 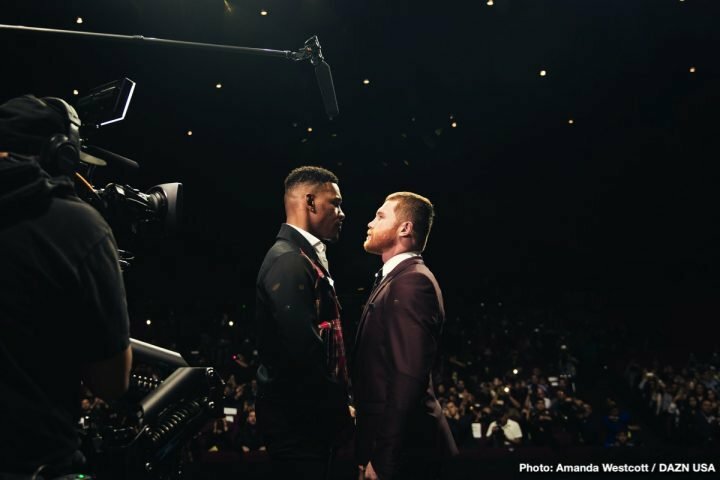 That is to say, there won’t be a catch-weight for the fight, and it won’t take place at 140. Trainer Andre Rozier says his fighter IBF middleweight champion Daniel “Miracle Man” Jacobs (35-2, 29 KOs) (35-2, 29 KOs) will be taking the fight to WBA/WBC champion Saul Canelo Alvarez (51-1-2, 35 KOs) to beat him with aggression, speed and size on May 4. 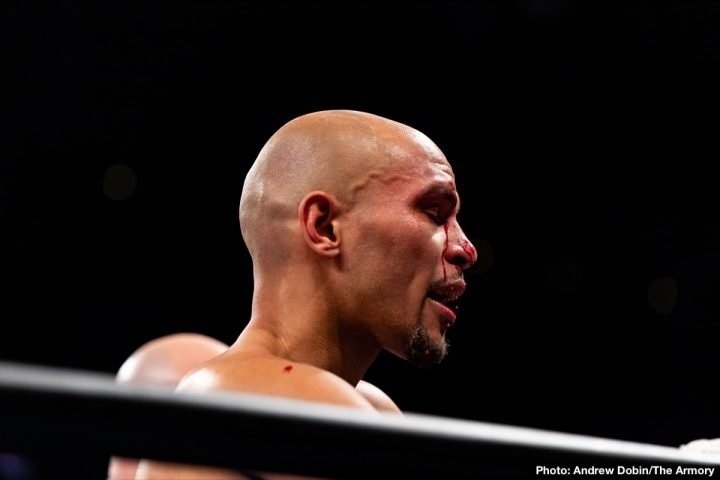 In a battle of former world champions, Caleb Truax (30-4-2, 19 KOs) suffered a bad cut from a clash of heads in the second round of his fight with Peter “Kid Chocolate” Quillin (34-1-1, 23 KOs) which made it necessary for the fight to be stopped and ruled a no decision at The Armory in Minneapolis, Minnesota. The fight was televised on Premier Boxing Champions on FS1 & Fox Deportes. 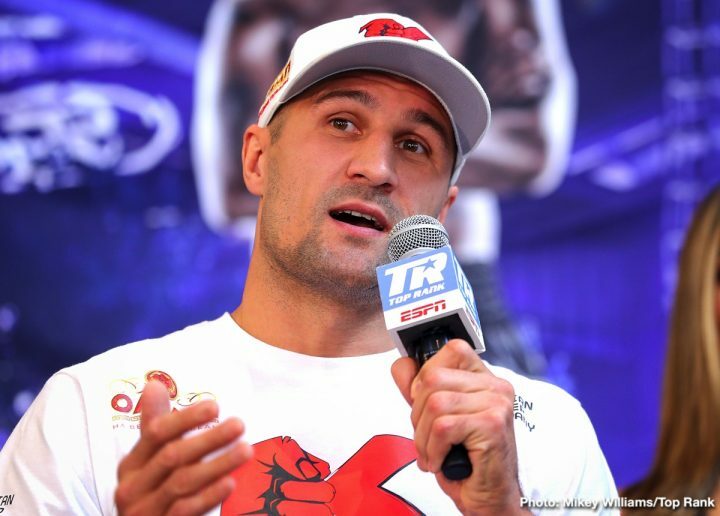 The purse bid for WBO light heavyweight champion Sergey Kovalev’s title defense against mandatory challenger Anthony Yarde has been moved from next Monday, April 8 to April 15. The purse bid being moved was done at the request of Kovalev’s promoter Kathy Duva of Main Events.